My microphone works very well, except in Google Hangout. I can hear people very well but they don't hear me, or they hear me as if my microphone is constantly muting and unmuting. People have suggested my poor internet connection could be the problem, but without changing my connection I would like to do something else to fix the issue. 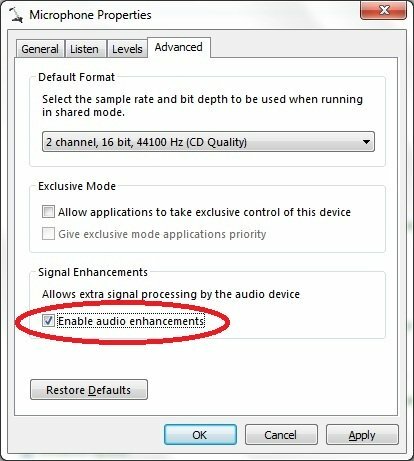 I had to manually rest the audio daemon on my computer. I have a macbook air though so it might be different for you? (1) Type in the search bar "Terminal" and click the Terminal utility - it should be a black box icon looking thing. (2) Type in "sudo killall coreaudiod" into the Terminal black box thingy that pops up. (4) Type in your computer password. (5) Restart the google hangout application by exiting out and opening it again. On a Mac, it was the FaceTime app. I had to quit FaceTime, restart Chrome, and all was well. Please try adjusting your mics' sample rate (on Macs, this would be via the "Audio MIDI Setup") to 48, 44.1, 32 or 16kHz. I would suggest looking into the Hangout Settings first. Then check the properties of your recording devices and see if it will let you reduce the sound quality, sample rate, etc. The idea here is to make the sound data being transmitted over your Internet connections smaller, thus easier for a poor connection to handle. Depending on you OS & hardware, there may be few settings which can be adjusted. On the other hand, some high end sound devices allow a lot of customization. Sorry this answer is vague, but you didn't give us much detail to work with. I thought I had this problem too, but it turned out that google hangout needed my mic to be much more sensitive. I maxed the input sensitivity in the system settings (-> sound -> input) and now people on the other side can hear me! Just to add my two cents, this may be a Chome issue as well. 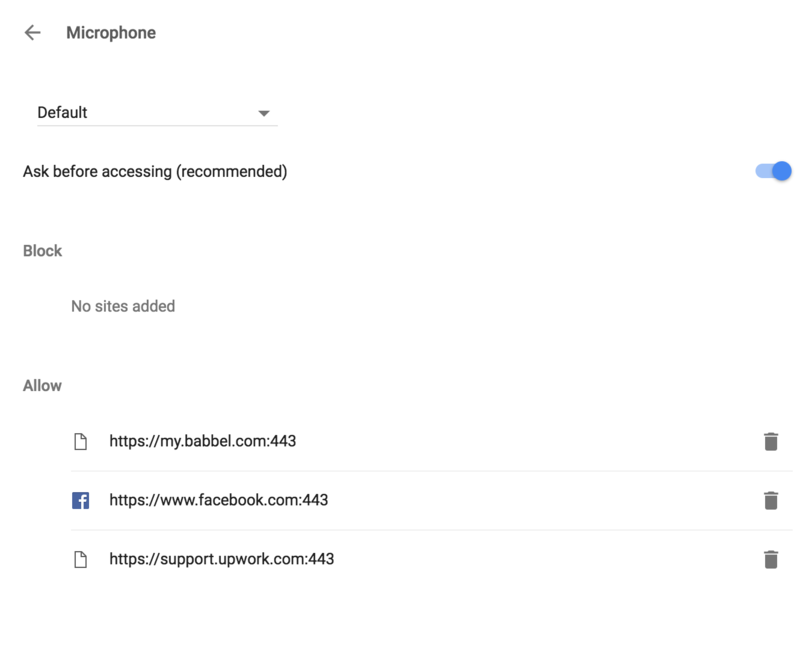 My microphone was blocked for the Google Hangouts in the Chrome settings and needed to delete from the list. I experience this problem periodically. I have to completely quit Chrome and start it again to get the microphone working. Not the answer you're looking for? Browse other questions tagged microphone google-talk or ask your own question.